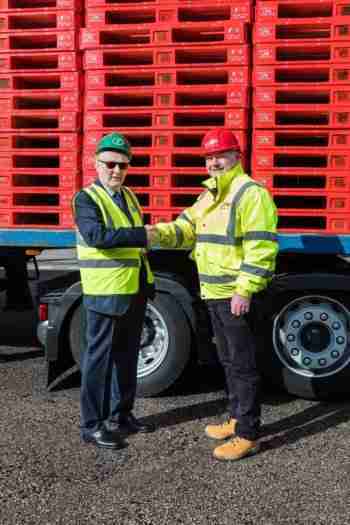 Major European pallet pooler LPR has taken delivery of 1,200 UPALL® protected wooden pallets, as the company begins a ‘real world’ trial of the innovative new UPALL® pallet guard system, developed by James Jones & Sons (Pallets & Packaging) Ltd. The UPALL® protective system has been in development since 2015 and sees robust plastic protectors fitted at the point of entry to heat treated PR80 wooden pallets. 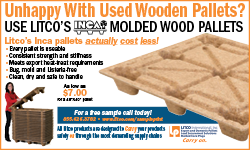 The wooden pallet components are protected during handling, loading and transportation, meaning the pallet lasts longer, requires fewer repairs and remains in circulation for longer. The UPALL® protectors are based on the original US pointGUARD invention, which UPALL® has redesigned, developed and patented for the European market. Tests on the UPALL® protectors at Virginia Tech showed that they increase the lifespan of a wooden pallet by three times and potentially longer. This is because UPALL® protected pallets experience substantially less damage with significantly fewer wood chippings and debris. 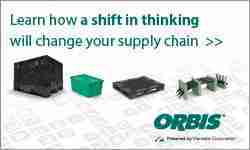 This reduces downtime, equipment maintenance and housekeeping, and improves safety. 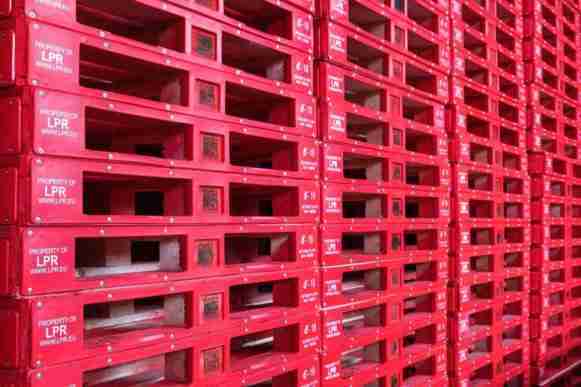 A UPALL® protected pallet remains in circulation earning money for longer – with quantifiable savings seen in inspection, repair, transport and trip costs. The 1,200 LPR branded and colour coordinated UPALL® pallets were delivered by Tyldesley Distribution Services (TDS) and are now being used by one of LPR’s major UK FMCG customers, to make deliveries into one of the UK’s leading discount supermarkets. Each of the 1,200 UPALL® protected pallets is fitted with two digital transponders, enabling LPR to closely monitor and track the pallets as they move between distribution centres. These transponders will enable LPR and James Jones to accurately assess and monitor the performance of each pallet in line with daily usage patterns. Alongside the LPR field trial, the UPALL® system is also currently undergoing comprehensive testing at Napier University in Edinburgh, the findings of which will enable UPALL® to compile a full life cycle assessment report and demonstrate the potential cost savings UPALL® can offer and the positive impact it can have on the environment. Gil Covey, Executive Chairman of James Jones & Sons (Pallets & Packaging) Ltd, said: “We and our partners in UPALL® have developed and invested in the UPALL® product over several years and following on from extensive simulated trials at Virgina Tech in the USA and at Napier University in Scotland, we are delighted to now be partnering with LPR to trial this innovative product in the field. Pictured above: Gil Covey, Executive Chairman of James Jones & Sons (Pallets & Packaging) Ltd with Paul Scott, Quality and Depot Auditor at LPR UK & Ireland. 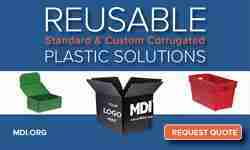 Simon Wood, Operations Director at LPR UK & Ireland, said “We are always happy to work with businesses that have such close synergies to our own. Innovation, sustainability, entrepreneurial spirit and collaborative working run through the LPR business – as they do with James Jones.